What is a Password Card? Password (aka. grid) cards contain a block of random characters in a matrix-like pattern. To generate a password for a website, any series of characters can be chosen from the card. The main idea is that it’s easier to remember the initial location, the reading direction and password length from the card – than memorising the password itself. The card is generally printed on a piece of paper and kept in a safe location such as a wallet. In other words, password security heavily relies on physical security. Even if the card gets into an attacker’s possession, the secrets cannot be quickly recovered. 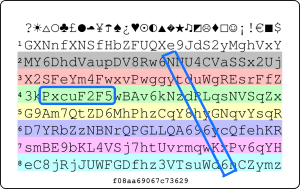 The standard card from passwordcard.org contains 238 characters spanning 8 rows and 29 columns. To guess a password, the attacker must know several parameters such as the initial location, reading direction, and the password length. That’s a lot of combinations! So it must be a difficult process to get all the passwords, isn’t it? It’s true until we start automating things. 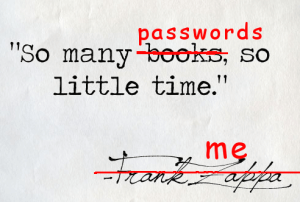 Password guessing attacks rely on wordlists, which may originate from simple dictionary words (aspell). 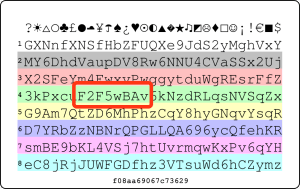 Sophisticated wordlists are based on topic-specific wordlists (Star Trek, Monty Python), generic password variations (crunch wordlist generator) or compromised passwords like clear-text passwords from the RockYou breach. 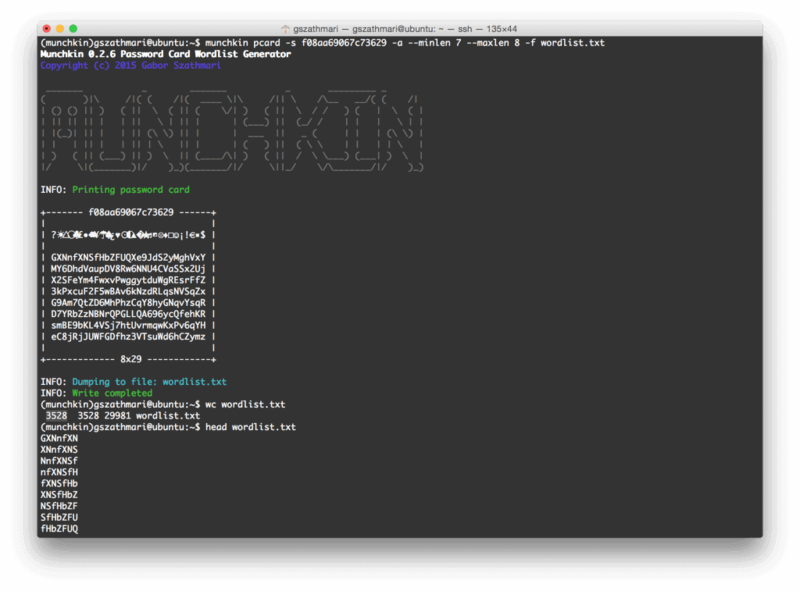 Munchkin is a wordlist generator tool that generates relevant lists of potential passwords based on password cards. 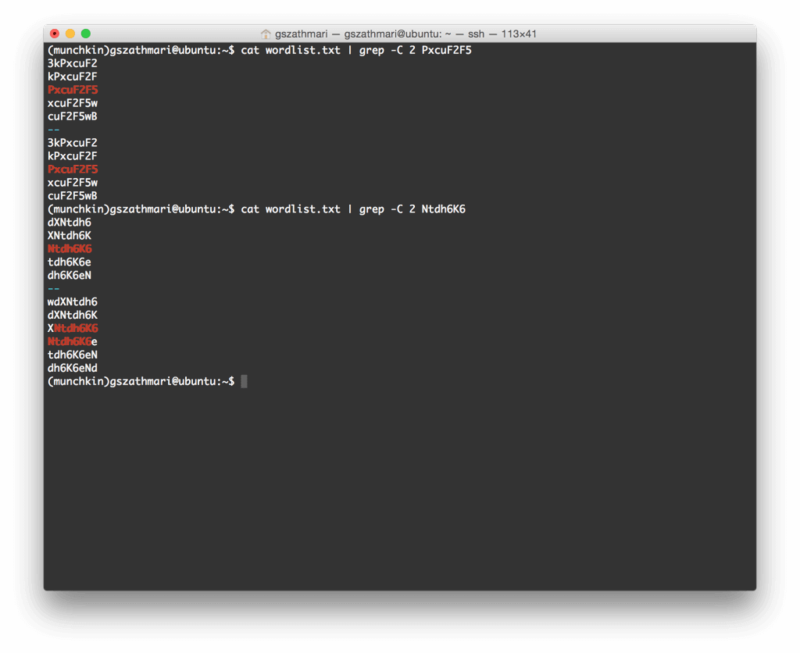 A user named Bob generates a card from passwordcard.org with an initial seed of f08aa69067c73629. He chose two passwords for his Gmail and Facebook accounts, “PxcuF2F5″ and “Ntdh6K6″ respectively. 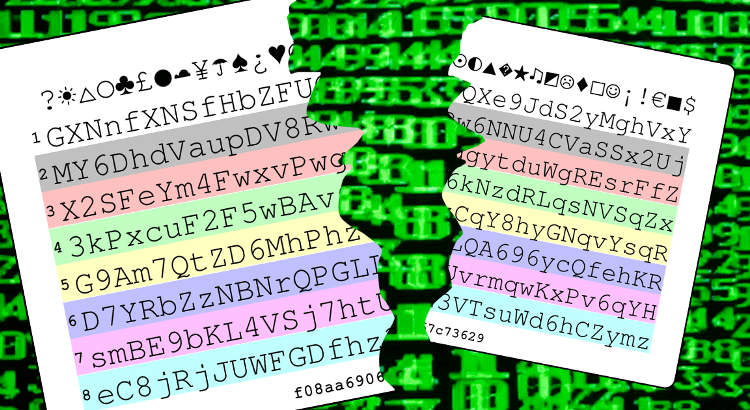 When Bob takes out his password card to log into Gmail, he gets sloppy and leaves it on his desk while he steps out for a nice Vegemite sandwich. Mallory seizes the opportunity and takes a sneaky photo of the unattended card. As always, pull requests are welcome!